An Australian, V-Cut three piece water resistant full grain Iberian, double stitched leather upper. 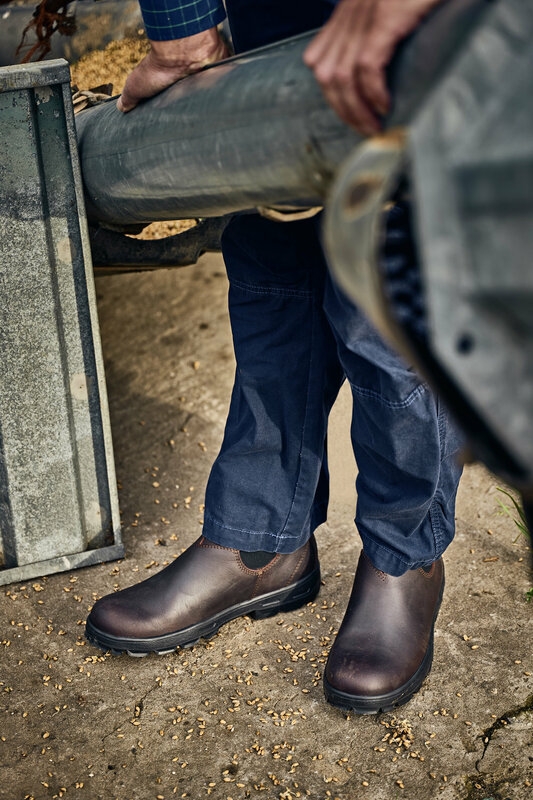 Dealer style work boot with oil/acid resistant sole and COMFORT lining. COMFORT features include: Double-sided side gore for easy on and off. An underfoot the 4mm LUXLITE™ foot bed provides ultra-soft cushioning for an athletic shoe feel. A GRAVITY+™ Oil and Acid resistant sole with ENERGY ZONE™ heel and PU midsole, featuring a METPAD™ Urethane shock pad under the ball of the foot. The whole boot is lined in our COMFORT™ lining is breathable and hardwearing, wick moister away from the wearer’s foot to prevent a sweaty and uncomfortable feel. It is fungus and rot proof.